Queelister's Place: New in Town!! There's a new stamp company in town, it promises to be fun, whimsy, and a little corky. 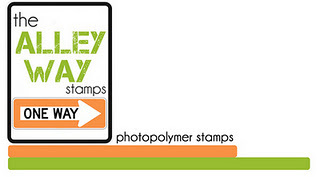 The Alley Way Stamps, will be having a grand opening in just a few days, so spread the word, let everyone know that there is a new stamp company in town! There will be fun prizes, inspiration, and a freebie stamp each day of there Grand Opening! This is a wonderful way to start off the new year. Go over and check out the deets on there site! !